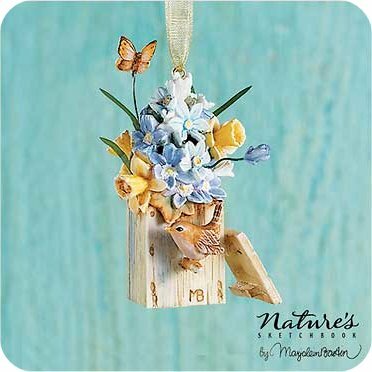 Measures 1 3/4" W x 2 3/4" H.
A very pretty ornament for an Easter or a Spring tree. The bird caught my eye first, then the flowers. Very well done.